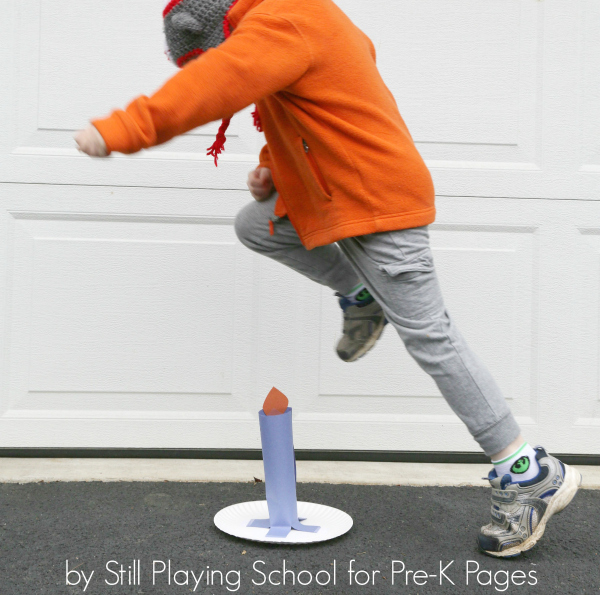 Jack be nimble, Jack be quick, let’s get preschoolers jumping over their own candlestick! 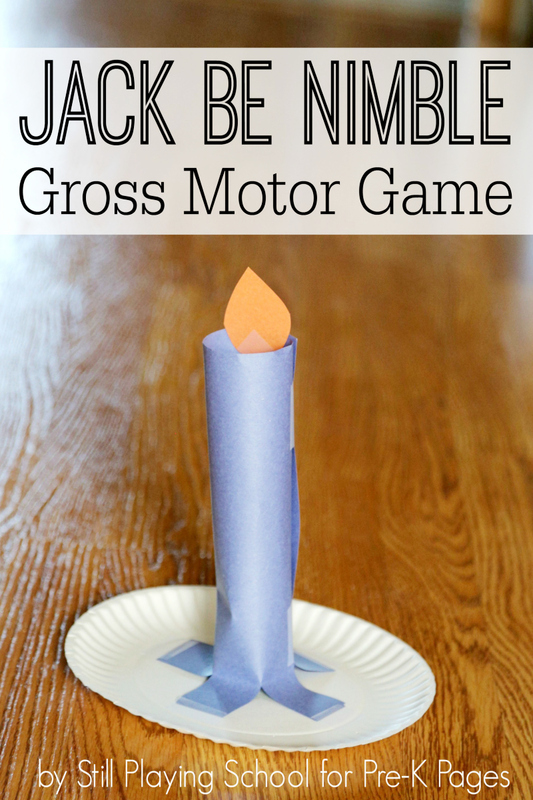 A simple craft to make a candle turns this nursery rhyme into a gross motor movement game for kids. 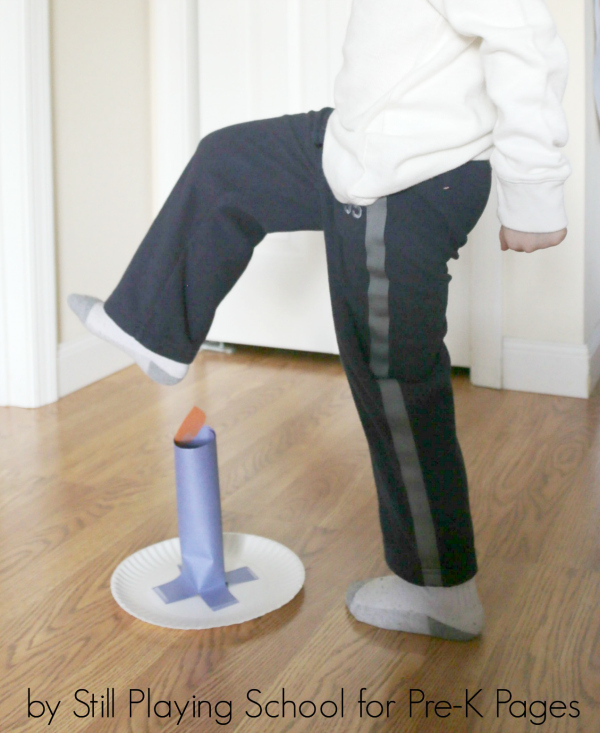 First create the candlestick using construction paper, tape, and a paper plate for the base. Roll one piece of construction paper into a tube. Tape to secure. Cut four slits in the bottom of one end of the tube about two inches long. Fold these out to tape the candlestick to the paper plate. 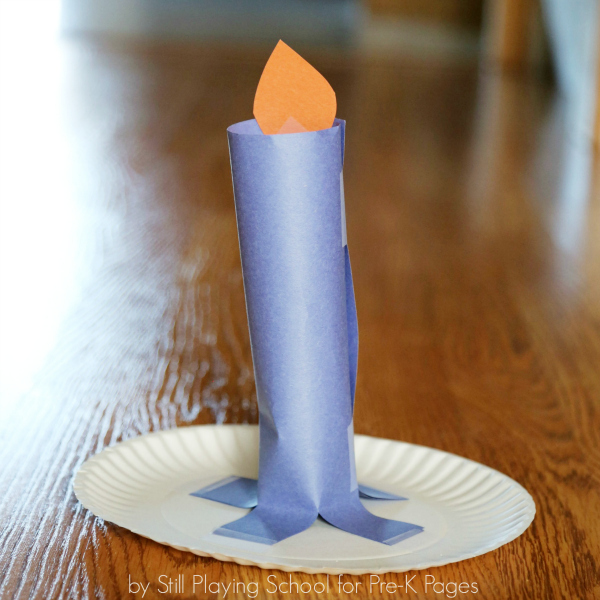 Make a flame with orange construction paper and tape to the top to light the candle. 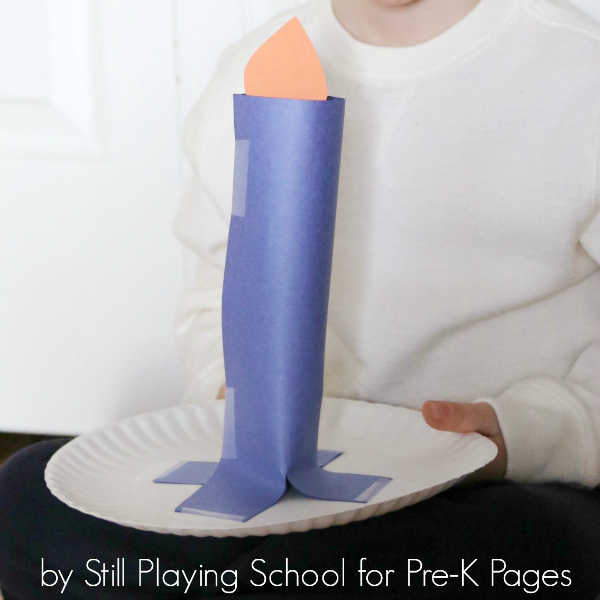 These are so much fun that you might want to help each preschooler make one! 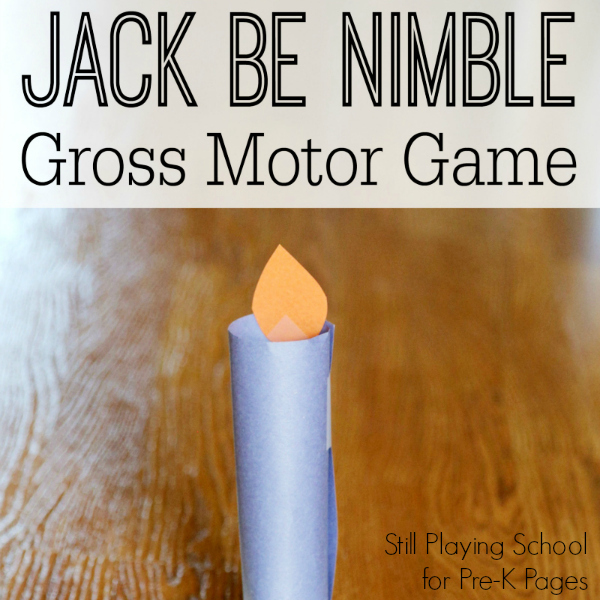 Now that you have a candlestick, it’s time to reenact Jack Be Nimble as a movement game! Replace Jack’s name with the name of each preschooler, allowing them to try to jump over the candlestick as you say the rhyme. For additional literacy, write the poem on sentence strips in a pocket chart. You can work on name recognition as you replace the names each time. I’ll never forget my own son looking at me as a preschooler and asking quite seriously, “Why didn’t Jack just walk around the candlestick?” What a good question! How else could preschoolers move around the candlestick? Try crawling, hopping, tiptoeing, stomping, and twirling! Practice prepositions or positional words with preschoolers by asking them to move their bodies in other ways in relation to the candlestick. Can they hold it over their heads? Then they are under it! Can two friends put the candlestick between themselves? The possibilities with this fun nursery rhyme are endless once you’ve made your paper candlesticks! BIO: Devany LeDrew is a former kindergarten teacher who writes at Still Playing School where she shares intentionally planned play based learning activities. Follow Still Playing School on Facebook, Instagram, and Pinterest!